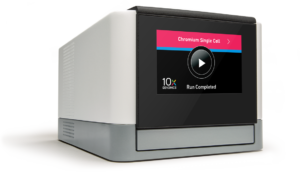 The Chromium™ Single Cell Controller gives every lab the power to perform single cell RNA sequencing. The new controller is part of our Chromium Single Cell Solution providing a comprehensive, scalable solution for cell characterization and gene expression profiling of hundreds to millions of cells. Affordable and with a simplified workflow, users can go from cell sample to sequencing library in less than one workday. 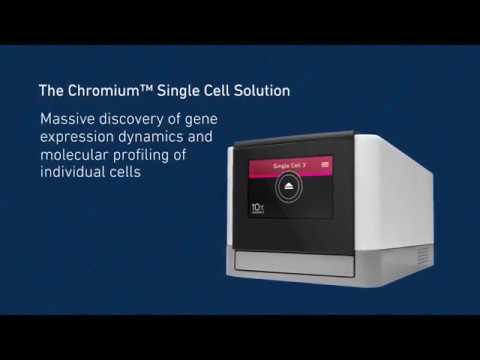 With Chromium Single Cell 3’, perform deep profiling of complex cell populations with massive throughput digital gene expression on a cell-by-cell basis. Trace expression profiles to individual cells to ensure biologically relevant signals are not masked by bulk average measurements.